Liverpool, AC Milan and Inter have all reportedly set their sights on Cagliari midfielder Nicolo Barella, but it’s said it will take a sizeable offer to prise him away. The 21-year-old has continued to impress for the Serie A outfit so far this season, building on his form from last year where he added six goals in 34 league appearances to his tenacious and combative displays in the heart of the Cagliari side. Having also now grabbed his first cap for Italy, there is undoubtedly a bright future ahead for him if he continues to improve and develop, but it remains to be seen how long that will be for with his current club. According to Calciomercato, Liverpool are ‘serious’ about a move for the Italian midfield ace, although they will face stiff competition in the form of Milan, Inter and Roma while it’s suggested that it will take €50m to persuade Cagliari to sell. On one hand, that’s a lot of money for a young talent who has yet to prove himself consistently at the highest level both domestically and in Europe. On the other, he is evidently highly talented and could be a real asset to any club he joins while with maturity and experience, he’ll be expected to go from strength to strength. 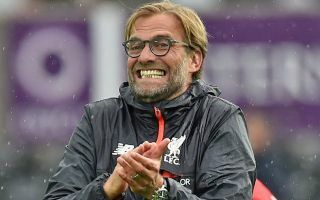 Jurgen Klopp appears to have plenty of options in midfield at his disposal already having signed Fabinho and Naby Keita this past summer, and so question marks could be raised over whether or not the German tactician really needs another signing in that department. In contrast, the midfield is an area in which Milan in particular lack quality and depth, with coach Gennaro Gattuso continuing to rely heavily on preferred trio Giacomo Bonaventura, Lucas Biglia and Franck Kessie. With that in mind, perhaps the Rossoneri could emerge as the biggest threat to Liverpool if the report above is accurate, although the Reds, Inter and Roma can all offer the youngster Champions League football at this point while Milan are still desperately trying to break back into the top four in Italy.